The current average interest rate on credit cards is 12.77%. See current trends and rates. Interest rates on credit cards are on the rise again. In mid-June of 2017, the Federal Reserve raised its benchmark interest rate again. This would be for the 2nd time in 2017. This time, interest rates increased a quarter of a percent. This raise has already affected the APR on credit cards. Maybe you’ve already noticed that on your cards. We’ve gathered data on current interest rates to give you an accurate idea of what you can expect today. Stick around, because at the end, we also give you some tips on what you can do to improve your rate. Average Credit Card Interest Rates in the U.S. The latest Consumer Credit release from the Federal Reserve System (January 2017) showed the current interest rates given to consumers on all credit card accounts. 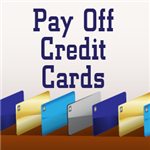 These accounts include reward cards, non-reward cards, and retail credit cards. The first column of numbers is the average interest rate across all credit card plans at all reporting banks. The second column of numbers is the interest rate for those accounts that were charged interest. Are you looking for a specific kind of card? The interest rate differs greatly based on the type of credit card. Cards with high rewards and benefits (large bonuses, more points on purchases, etc.) also have higher interest rates. 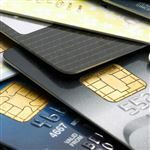 We conducted our own analysis into different types of cards and the low and high rates offered to new customers. You can see that reward cards carry much higher interest rates than regular cards. Credit cards have a range of APRs. For example, you may see that a credit card is advertised as having an APR of 16.49% to 23.49%, depending on your creditworthiness. The lower end will be for those with excellent credit. And those with poorer credit will receive an APR on the end high. You won’t know what kind of rate you’ll get until you apply. What Can You Do to Get a Lower Interest Rate? Credit cards are important parts of our consumer life. They simplify purchases and can help us reach our goals. But most importantly, they help us establish credit. A good credit score is essential for getting a better interest rate. This score tells lenders the likelihood that you will be able to pay back the loan. Your interest rate is closely tied to your credit score, which is determined largely by your payment history. The better the credit score, the better the interest rate you can get. And on the other hand, a poor credit score means a higher interest rate. Or even being turned down for a loan. How do you currently stack up compared to the average rate? If you’re finding yourself on the higher end of the interest rate range, here are some things you can do to improve the situation. To start, never miss a payment. Missing payments could cause your current interest rate to skyrocket. Many credit cards have a penalty rate of 29.99% that kicks in after a late payment. And it may be hard to climb your way out. It’s also best to pay off the entire balance each month. But if you’re unable to, pay off as much as you can (never just the minimum). Start with the credit card with the highest interest rate. Read our beginner’s guide to paying off your credit card debt fast, the smart way. Maxing out your credit is also a huge red flag. This sends a message to lenders that your income cannot support your spending habits. Going over your credit limit is another mistake that will trigger the penalty rate. Instead, try to keep your credit utilization at around 30%. 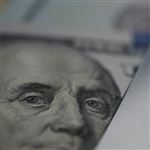 This means that if you have a $5,000 credit limit, don’t use more than $1,500 of it at any time. Even more ideal is to keep it under 20%. If you’ve been making good on your payments for several consecutive months, and you have been a long-time customer, it never hurts to call the bank and ask if they can shave a few points off your interest rate. Just be prepared. Know your current rate and the average rate. Gather any invitations you’ve received for new card accounts at lower rates. Politely ask if there is any way they can reduce the interest rate to match the lower rate. A balance transfer is the fastest way to get a break on your interest rate. This is when you move your current balance onto a new card with an introductory APR on balance transfers. This is a great short-term solution, but make sure you have a solid plan to pay off the balance before that intro period ends. High interest rates on your credit cards can really kill any hopes of being able to pay off your balance. And the rates are not getting any lower. The best thing you can do is to use your credit card smartly, never miss payments, and never charge more than you can afford. CreditDonkey surveyed information from 100 credit cards, representing popular card category. Introductory rates are not included in the average APR calculation. The average credit card debt in America is $5,331 per person. We dive deeper into the facts behind this number. Read on to see how you compare. Leave a comment about Study: Average Credit Card Interest Rate? Share on Facebook "Average Credit Card Interest Rate"